According to a TechSci Research report, “India Personal Grooming Market By Product Type, By End User, By Distribution Channel, Competition, Forecast & Opportunities, 2024”,India personal grooming market consist of female grooming and male grooming, and both the market segments are projected to cross $ 620 million and $ 1.2 billion by 2024, respectively. The growth of personal grooming products market in India is propelled by factors such as growing penetration of various international brands, rapid urbanization and growing consumer demand for more convenient and professional grooming products. Moreover, rising aspirations of Indian youth towards maintaining a youthful appearance and increasing advertising activities is further fuelling demand for personal grooming products across the country. The companies are strategically focusing on attracting youth population by launching new innovative designs and user-friendly products, as millennials are more attracted towards such products. Furthermore, rising demand for professional products like hair curlers and hair straighteners has been witnessed in India owing to upcoming middle class with rising disposable income and youth population beyond 16 years who are highly influenced by aggressive marketing strategies and digital media. These factors are anticipated to fuel growth in India personal grooming market in the coming years as well. In terms of regions, West India dominated both female and male grooming market in 2018 and the region is anticipated to generate significant demand for male and female grooming products during forecast period as well, owing to increasing marketing activities and rising per capita expenditure by the companies in the region. India female grooming products market can be broadly categorized into hair dryers, straighteners, curlers, trimmers & shavers. 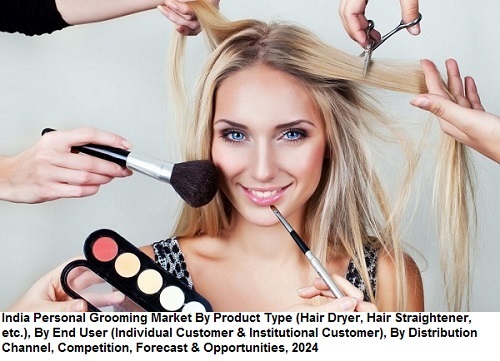 Whereas male grooming consists of shavers and trimmers , India Hair Dryers Market , India Female Grooming Market, India Hair Dryers Market, India Hair Straighteners Market, India Hair Curlers Market , India Hair Trimmers & Shavers Market, India Male Grooming Market, India Trimmers Market , Hair dryers category dominates the market on account of factors such as availability of variety of options, rising working women population and highly engaged young generation who do not get time to maintain their beauty routine are the target customers for hair dryers. “Increasing adoption of attractive marketing and distribution strategies by various personal grooming companies is likely to positively influence India personal grooming market. Rising demand for products that are more affordable, continuous product innovation and diversification by leading players in different segments of personal grooming is further fuelling growth in India personal grooming market. 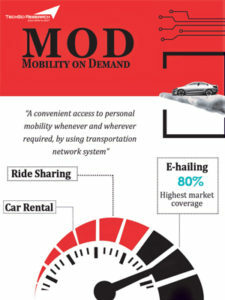 Moreover, emergence of online shopping platforms like Amazon, Flipkart, Nykaa and Purplle, which offer better discounts, enhanced convenience and multiple payment modes coupled with expanding internet user base would further steer growth in India personal grooming market during forecast period.” said Mr. Karan Chechi, Research Director with TechSci Research, a research based global management consulting firm. “India Personal Grooming Market By Product Type, By End User, By Distribution Channel, Competition, Forecast & Opportunities, 2024” has evaluated the future growth potential of India personal grooming market and provides statistics and information on market structure, size, share and future growth. The report is intended to provide cutting-edge market intelligence and help decision makers to take sound investment decision. Besides, the report also identifies and analyzes the emerging trends along with essential drivers, challenges and opportunities present in India personal grooming market.